Click here to go to the Training section for the SeaPerch UROV kit. Click here to open the Construction Manual for the SeaPerch UROV kit. 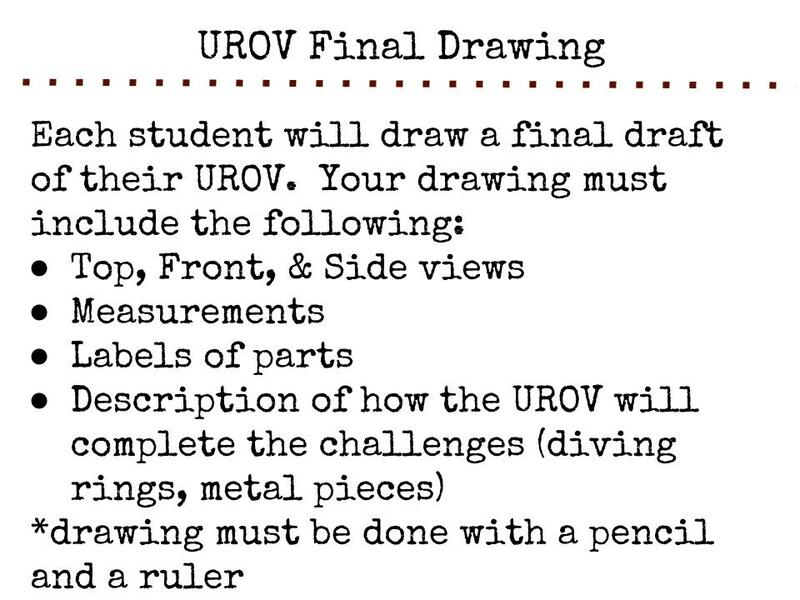 Click here to open the UROV Research Assignment. Click here to play the myUROV simulator. Read the instructions before playing. Click here for Pictures taken during the UROV projects.